Indoors, outdoors and everywhere in between from elegant sets to bring the warmth outside on a cool spring night to an enclosed fireplace to give your patio that last romantic touch. Our firepit sets can complete your outdoor scene in no time and with designs to fit into any style you might have, you'll be spending more time outside than you ever thought possible. Full seating options give you the ability to host dinner events every weekend or simply enjoy your breakfast with the morning sun. 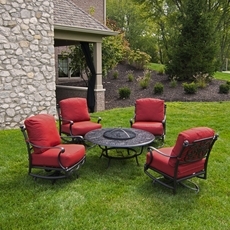 Or maybe you've already gotten the seating taken care of and you're just looking for a new, stylish fire pit to match. 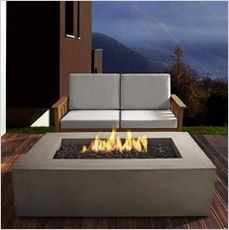 Browse our immense selection and find the perfect fire pit for your needs. 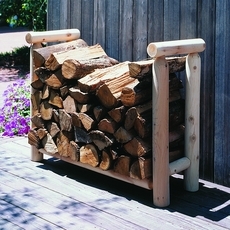 If you've got the desire to keep a stack of firewood and hear the popping of pine, we've got the fire pit you need. Not your style? That's okay too just take a look at our propane fire pits that you can enjoy with the simple click of a button. No mess, no hassle and all the warmth and serenity a fire offers. 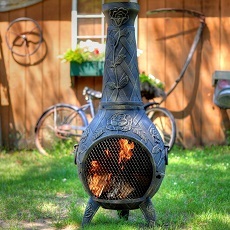 For a little more elegance and a touch of classic flair, check out the patio fireplace and chimineas options. With ornate designs to give your outdoor space an air of sophistication, you'll be asking yourself how you ever lived without one. Don't be shy, click on any of the icons below to start browsing our fire pit sets, firepits and patio fireplaces & chimineas. Plus, we have free shipping on everything we sell... you're just a few clicks away from the easiest patio furniture shopping experience of your life.